Late June ’16 was a busy time for MMVC. Within the space of eight days there were three successful concerts at very different locations. 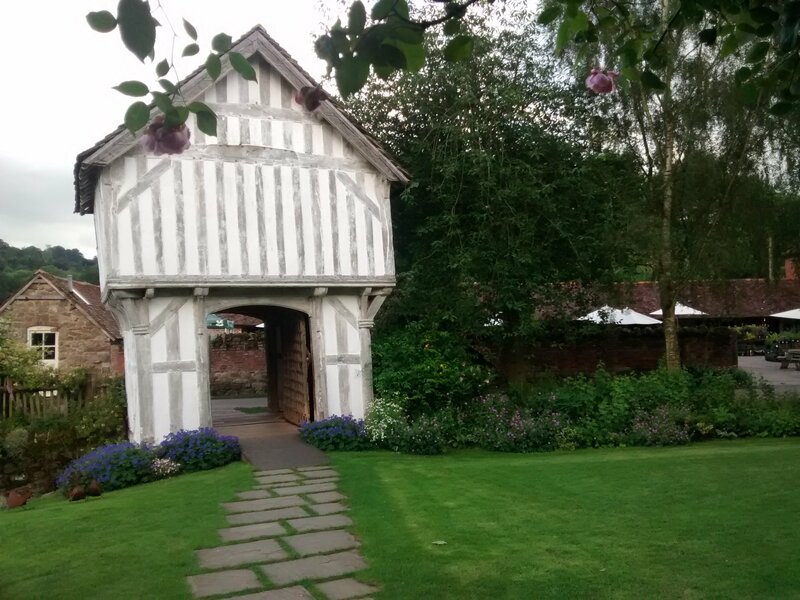 On Saturday 18th June, a rare fine summer’s evening saw the choir in a new-to-us location: the 16th Century Manor House of Brockhampton, near Bromyard. 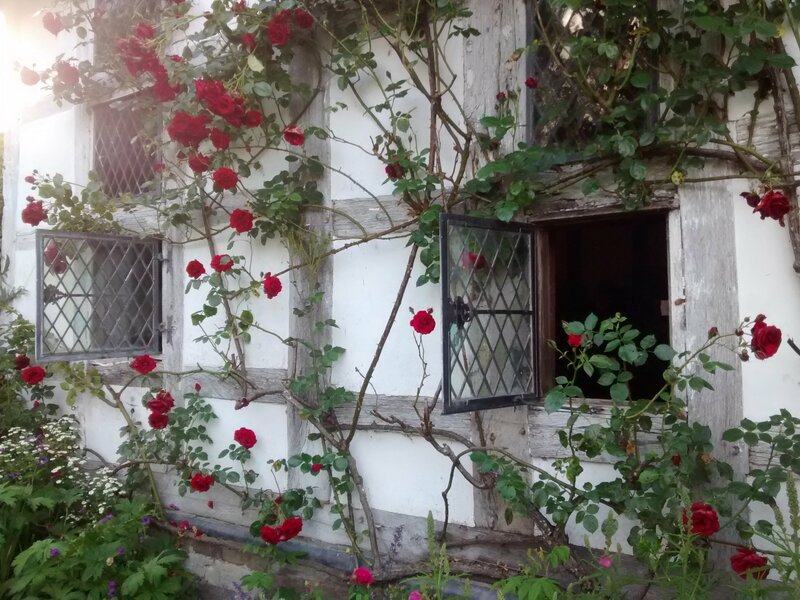 Nestled deep in a wooded valley, the site was home to the same family from the 14th to 20th centuries, and the performance took place in the hall of the house. The small-scale of the venue made for a particularly intimate performance, where the choir’s full dynamic range showed to great effect. From the rousing choruses of Morte Christe to the quiet poignancy of Ave Maria, the sound carried throughout the house, and even those who had wandered into the garden or the 1950s living room could appreciate the special combination of music and setting. In fact, the venue was intimate enough that many of the audience had to sit on the stairs or stand in the upper gallery, but it didn’t seem to diminish their enjoyment of the evening’s entertainment – which included solos from tenor Graham Purcocks and violin pieces from accompanist Tim Sidford as well as some typical humorous readings by choir members. Thursday 23rd June was the day for another of our regular visits to the sheltered housing complex at Storer Court, Malvern. Here the average age of the audience well exceeds that of the choir- but advancing years seemed no bar to the audience singing along to some hits from the 60s and popular show classics. The evening ended with a rousing ‘Happy Birthday’ to resident Lionel , aged 99. 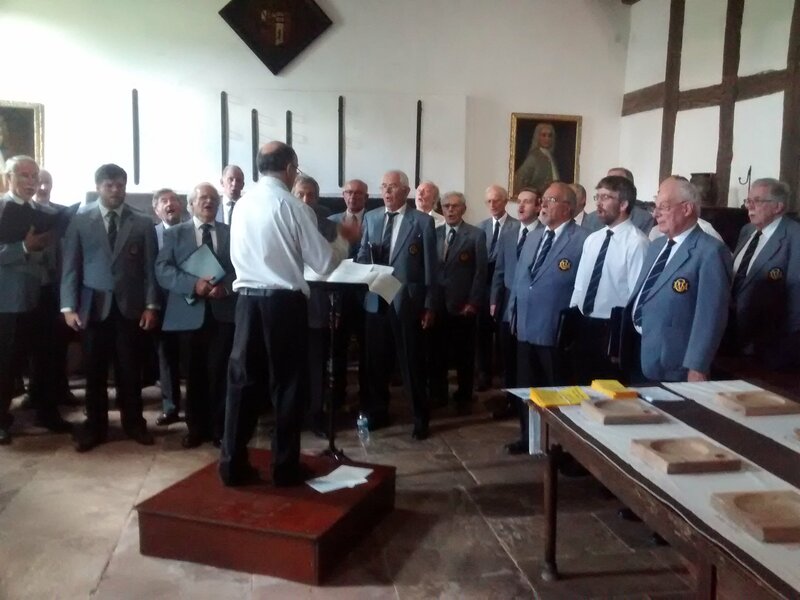 And finally, as the final item in Holy Trinity’s now traditional Music Day; a celebration of music making in Malvern, on Saturday 25th June the Male Voice Choir presented a Gala Concert. 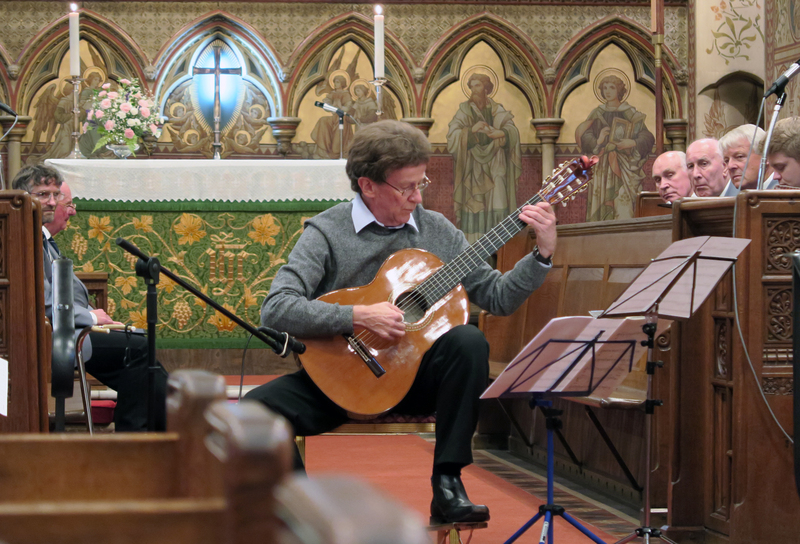 For this festival event we were joined by the Holy Trinity Junior Choir, and also classical- and modern – style guitarists, John Godfrey and the Neil Hide Duo. 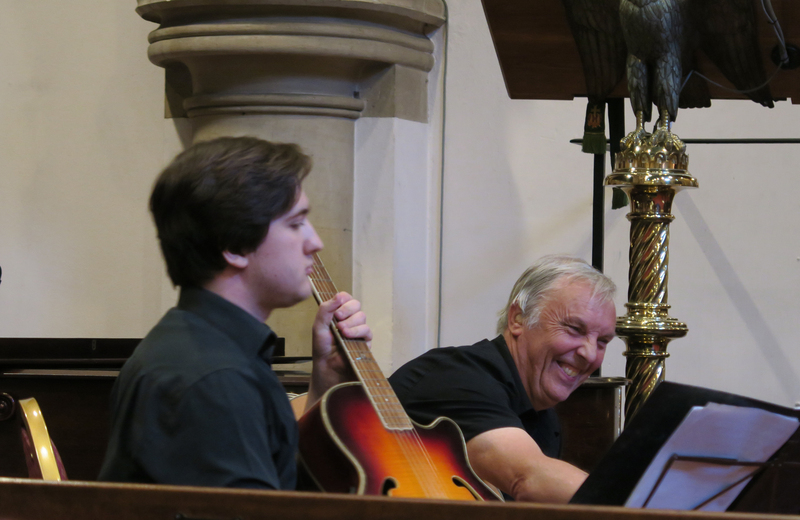 Welcoming the audience to the venue we know best (our rehearsals take place at Holy Trinity), the choir particularly enjoyed being able to enjoy hearing others play in the space, and celebrating the various ways the performers’ repertoire corresponded to and complemented each other. From the familiar Morte Christe and Ave Maria of the Male Voice Choir to the beautiful Let There Be Peace on Earth performed by the Holy Trinity Junior Choir, this evening of music took us through the ‘fifties and ‘sixties in voice and guitar; via the American South in the choir’s favourite American Trilogy and A Well-Kept Graveyard in John Godfrey’s original composition; to the musical stage in Holy Trinity Junior Choir’s brilliant rendition of So Long, Farewell and MMVC’s own Rhythm of Life. MMVC now takes its usual summer break , but will be back refreshed- though always seeking new blood- in the autumn. Meanwhile, any new bookings, great or small ? – We would be delighted to hear from you.